5G is a next-generation wireless network, which will provide speeds up to ten times faster than 4G, with ultra-low latency. 5G is predicted to be commercially available by 2020, with many companies preparing to benefit from its capabilities. 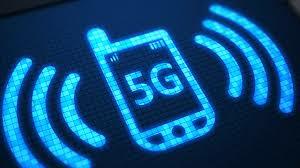 Some are predicting that 5G will become the backbone of digital society. The channel will no doubt be at the forefront of adoption, putting pressure on suppliers to create white-label offerings, which are easy to package, sell and support with excellent management portals. 5G as a replacement for 4G, fixed line and satellite solutions and 5G powered IoT, presents a number of opportunities for the channel. It also raises some challenges. How can we monitor and manage such volumes of data, in a variety of formats from so many different sources? Can data be imported, processed and analysed in real-time? Jola is the leading provider of mobile solutions to the channel and we are excited by the opportunities created by 4G and 5G. We have invested in product and portal development and we already have a wide range of cost-effective services, uniquely managed in Mobile Manager. Our ethos is to give our partners the control to maximise margins and minimise overages by monitoring usage in real-time and adding additional data as required.